The Hudson Collection is a collection of simple and good-looking rugs that will accent your bathroom and toilet areas. Each rug features cut-out rims for a decorative finish. Made in India, these highly absorbent rugs help the floor stay dry even after a shower. These bathroom mats are non-slippery and won't cause accidents. The collection assorts rugs in multiple sizes, shapes, and colours to pick the best according to your needs and taste. 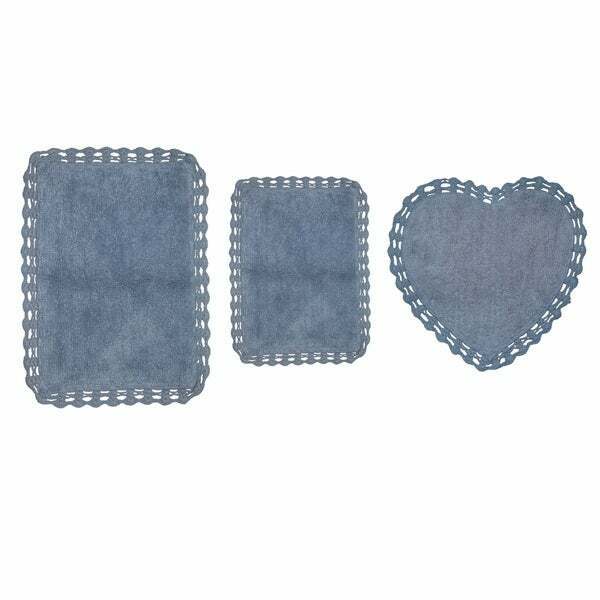 The options also include a lovely heart-shaped rug in soft colours.